Embark Software is a leading travel reservation system development company based in Delhi (NCR) India. We integrate gds systems including galileo gds for global travel management companies. Our travel reservation system services includes flight reservation system, hotel booking system, car reservation system, cruise and insurance module. We have highly skilled professionals in travel technology at our development center, which is located at Delhi India. The team is qualified to deliver top class reservation systems and well trained in web services integration, user/sub-user modules and XML live certification process. Galileo reservation system stands with lead position in airline reservation software and connected to almost all the leading airlines companies. It also provides solutions to travel agencies by offering the desktop solutions (search & book) and web services XML to connect to core database. 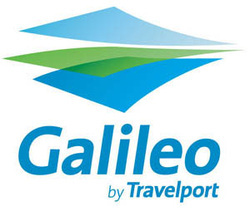 Galileo travel reservation system offers flights, hotels, cars, cruise, holiday packages among others. © Copyright 2013 - 2019 Embark Technologies Pvt. Ltd.